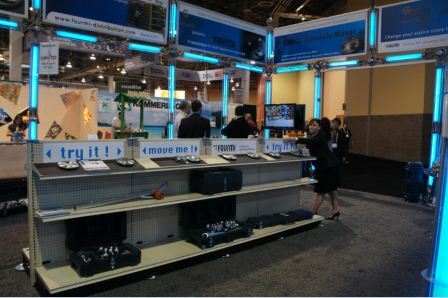 GlobalShop 2012, Las Vegas, Nevada. 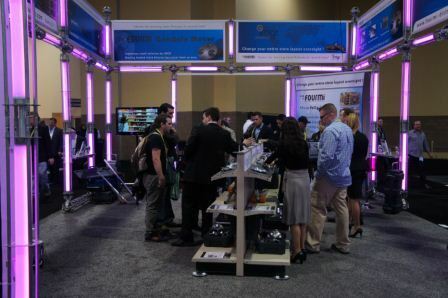 Thank you all so much for visiting our booth in Las Vegas last week. We are deeply impressed by the number of visitors we met this year. We are also very grateful for all the interest we received for our gondola movers. Our 16’ gondola has been continuously moved all around our booth and we are ever so thankful for the great feedback we received from all. Thank you very much again and we hope to see you again at GlobalShop 2013! 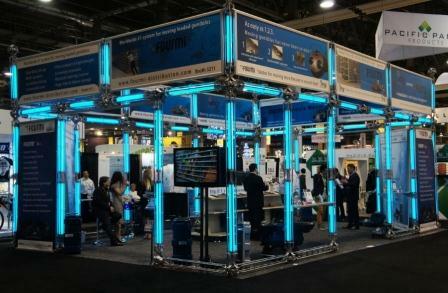 FOURMI gondola movers were in Las Vegas, NV for GloblaShop 2012. Visitors were able to see how easy it is to move gondola shelving with FOURMI! Our 16' gondola moved all around our booth, thank you all for trying our gondola movers.